The One Elm was the second pub in the Peach Pubs’ stable. It has long been a stalwart in the Stratford social scene. 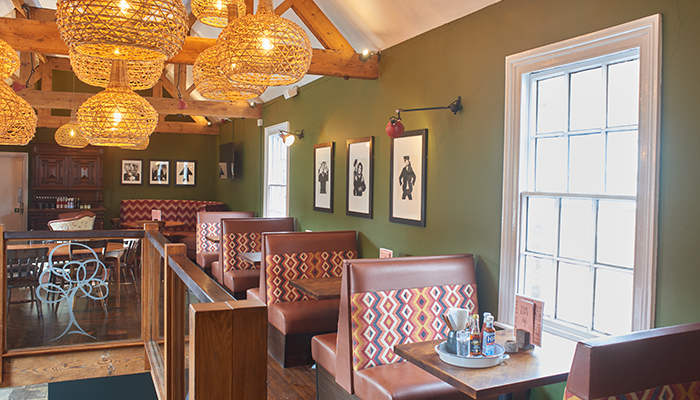 Our latest refurbishment has added cosy booths and a new log fire up in the Loft and re-paved the courtyard, so it’s the perfect spot to eat, drink and catch up with friends any time of the day or year. “It’s all Peachy – at The One Elm!” – Read our recent review from Muddy Stilettos here.